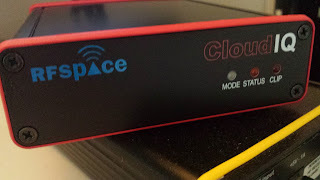 RFSpace CloudIQ samples 1500 kHz! It didn't take long for RFSpace to do a firmware update to allow sampling of 1500 useable kHz with 16 bits. For the MW DX-er, this is indeed good news! Sensitivity may not be an important issue for many DX-ers, especially if they live in a high signal level environment. To me, sensitivity is an important issue, and I always make sure to measure the sensitivity levels of my receivers. Up until now, all SDRs have been somewhat inferior to the best conventional receivers. Such as the NRD-525 (-114 dBm) and the R-390A (-116 dBm). My SDRs of various guises have weighed in at -93 to - 106 dBm, with the exception of the Winradio G33DDC which made the -110 dBm mark with the preamp engaged. 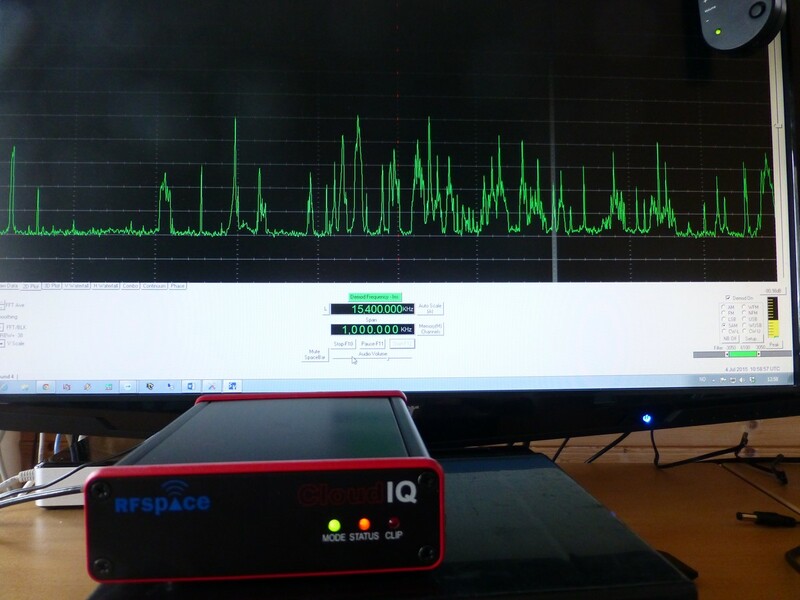 RFSpace promised the CloudIQ to be considerably more sensitive that the SDR-IQ, and indeed we have a new SDR winner of the weak signals prize. The sensitivity was a uniform -111 dBm from 500 kHz (my lowest measurement) to 20 MHz (my highest). The measurements were done in AM mode, 6 kHz bandwidth, 400 Hz tone into 30 % modulation. Pieter Ibelings at RFSpace informed me that they had spent a lot of time on the matching of the ADC. Evidently their efforts paid off. 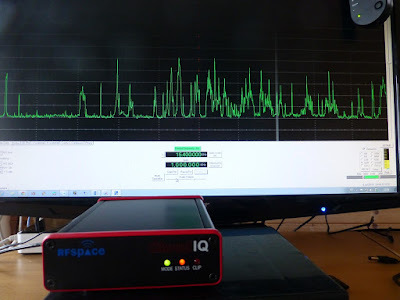 The I/Q sample rate maxes out at 1 MHz, 24 bits. Now, this is a little less than desired for recording the MW band for later analysis, as 160 kHz on the 540-1700 kHz range is missing; 173 kHz for the European/Asian 531-1704 kHz range. The older NetSDR also has a 1 MHz, 24-bit limit, but in addition it has two 16-bit bandwidths, 1.3 and 1.6 MHz. I sincerely hope that the CloudIQ will be given a similar option.